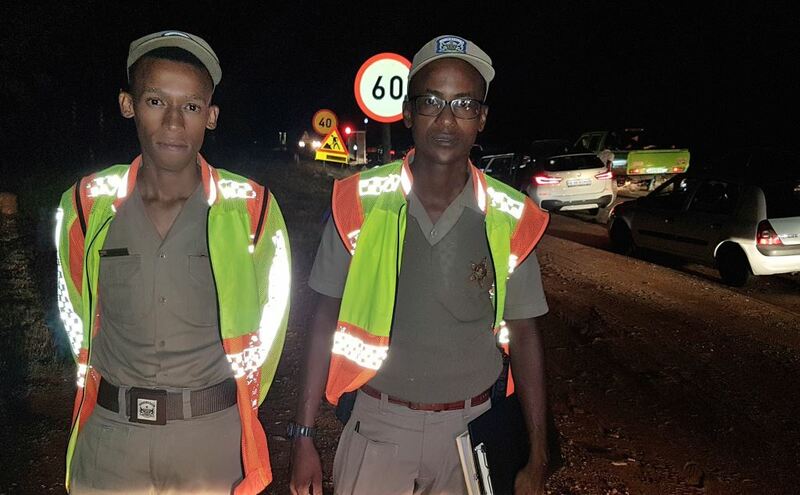 Cop stars: Provincial Inspectors Ontiretse Mogokonyane (left) and Christopher Ditibane from Brits Provincial Traffic – young men setting an example for all traffic officers to follow. FleetWatch loves it when we catch people doing things right and wow, did I recently ‘catch’ two young cops doing it just so right that it raised my spirit and proved what FleetWatch has always said: There are some great cops out there writes Patrick O’Leary. It happened at about 9.00pm one night when I got hopelessly lost trying to get from Pretoria to Hartebeestpoort. Well, it wasn’t exactly me who got lost. I was trying out a new route and was following the GPS instructions which took me miles away from where I wanted to go. It was dark and I didn’t recognise anything along the way so I just had to go on Molly’s instructions. Molly is the lady who lives in my GPS and tells me when to go left, right or straight. She’s Irish and quite a nice lass – when she gets it right, which is most of the time. That night she got it all wrong. Cop stars: Check the load on this truck. Piled high and leaning dangerously and precariously to the right, it could have fallen at any moment. 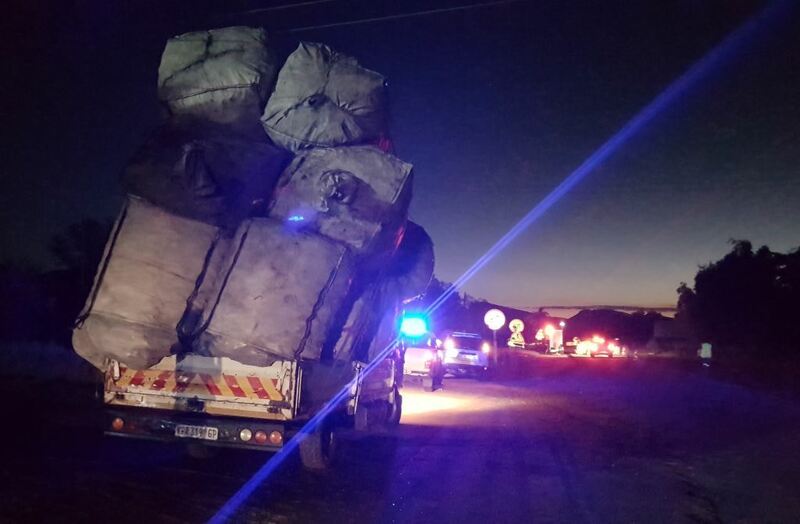 Thanks to the professional conduct of Provincial Inspectors Christopher Ditibane and Ontiretse Mogokonyane from Brits Provincial Traffic, it went no further with this load. Anyway, I ended up at the junction where the R564 crosses the R511 and found myself in a traffic queue at a road construction stop-go point. As I stopped in the queue, I noticed this awful looking truck pulled up on the side verge. The load – huge bags – was piled high and was leaning horrendously and precariously to the right. It looked like it was going to fall anytime soon. “This guy can’t go on like that. If that falls onto the road, someone will definitely get hurt or killed,” I thought. I pulled out of the traffic queue and as I turned onto the verge to park in front of him, I noticed a traffic car already parked there. I got out and introduced myself to them. The one was busy writing in his ticket book. “Eieeesh. This load is bad. Very dangerous. Did you pull him off because of the load?” I asked. 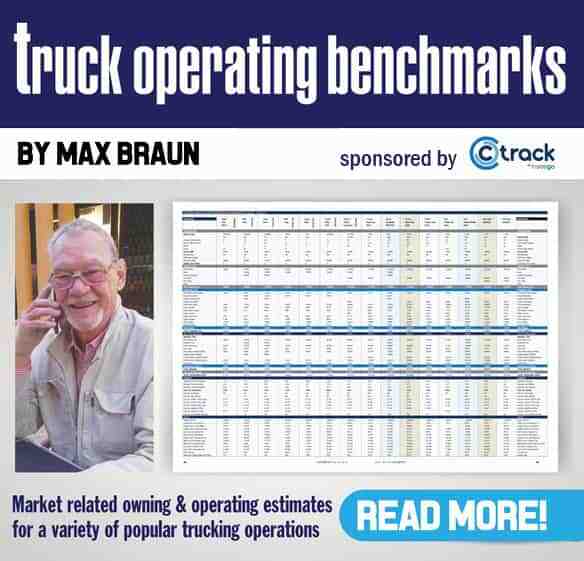 “Yes,” said Provincial Inspector Ontiretse Mogokonyane, from Brits Provincial Traffic. “We were driving, saw him and pulled him over. He can’t drive like this.” His colleague, provincial inspector Christopher Ditibane, was the guy writing out the ticket. I asked the driver what he was carrying. “It’s plastic, for recycling. But I’m not going far,’ he answered. Christopher looked up. “Not going far!!! You not going anywhere. 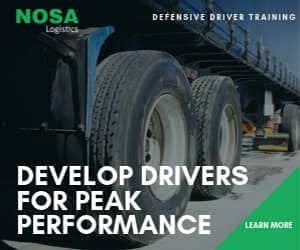 You are going to park here and offload until we feel the load is legal and safe to continue,” he said sharply to the driver, pointing to an open space just off to the left. He then looked sternly at the driver and said: “And next time you offer us KFC (Kentucky Fried Chicken), I will arrest you. Don’t ever offer that again,” he said sternly. “Yes, it was,” he said sheepishly. “Don’t ever do it again. Forget KFC. We buy our own KFC,” said Ontiretse. I was over the moon watching this play out. We chatted for a while and just to cap it all, I asked what regulation they used for the fine. They got out a sheet and under the heading “Way of Transporting Goods’, they pointed to Reg. 246(c) with a sub heading: “Conveyed goods that could be dislodged/spilled’. The fine was R1 000. “Yes, yes, yes. You have got everything right,” I enthused as I took out my cell phone and showed them the exact wording in the regulations. Under Manner in which goods to be carried: Reg 246 states: No person shall operate on a public road as motor vehicle carrying any goods – (c) which are not (i) safely contained within the body of such vehicle; or (ii) securely fastened to such vehicle and which are not properly protected from being dislodged or spilled from such vehicle. Amazing stuff. It was so thrilling witnessing this and if there is any sceptic who might believe they were just putting on a show, the ticket had been written by the time I arrived. They were doing their jobs as professional cops – in the dark with no-one watching. They could have taken the KFC bribe and no-one would ever have known. But they didn’t. We chatted for a while longer, swopped telephone numbers and I was on my way. Cop stars: The picture sent to FleetWatch later the same night with a message from Provincial Inspectors Christopher Ditibane saying: “They went to fetch a bakkie and offloaded onto it. 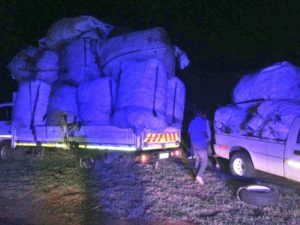 They took three loads with the bakkie.” Yeah! I put my phone down and went to bed, safe in the knowledge that there are cops like Provincial Inspectors Christopher Ditibane and Ontiretse Mogokonyane out there keeping our roads safe. My wish is that all cops follow the example of these two fine young men. FleetWatch salutes you both and invites you for a KFC lunch – for the right reasons! Foot note: Excuse the quality of the pictures. They were taken at night using cell phones.